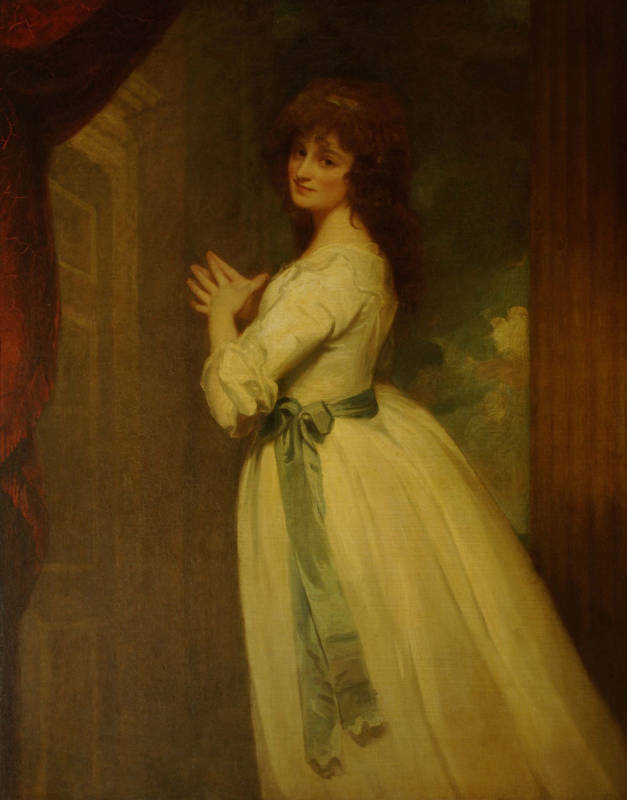 Unlike Theophila Gwatkin, whose white and blue is set against dark trees, the colours used to depict Mrs. Scott’s body and clothing are repeated in the freely painted sky behind her. 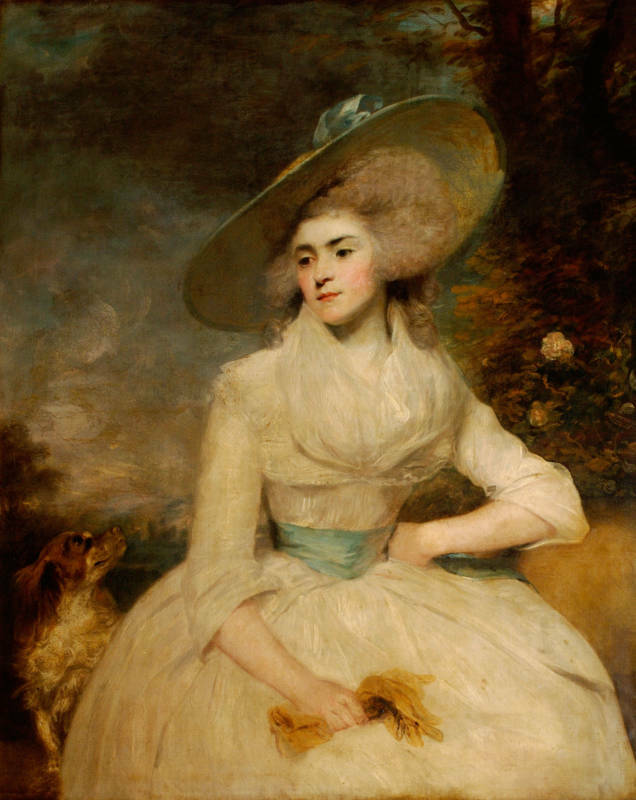 The muted hues and particular mastery of whites and creams show the influence of George Romney (1734-1802), whose portrait of the actress Mrs. Jordan (1761-1816) in a stage role hangs on the other side of the fireplace. Romney’s works, which were considerably cheaper than Reynolds’s, appealed to sitters for their apparent simplicity and air of naturalness.